Where diving in Bali ? 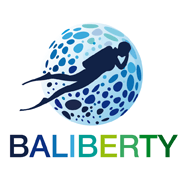 Dive sites in Bali are many and varied. Between two oceans (Indian and Pacific), Bali is located in the heart of the golden triangle: a tresor of marine biodiversity. Photographers, scientists and divers from around the world come to Bali to enjoy this awsome richness of its marine life. Strong currents flow around Bali, dragging very rich waters, full of plancton and nutriments. Thus promoting a dense, varied and healthy ecosystem. How to choose your dive sites ? Around 2 000 species of reef fishes live around Bali. The scenery will surprise you with beautiful soft corals, huge sponges, sumptuous gorgonians and colorful feather stars. Diving conditions are good throughout the year and best from April to November.